series of the same name. language - it's straightforward enough and quite fun. 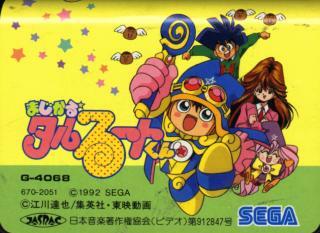 VARIATIONS:       The actual Japanese title is Majikaru Taluluto-kun. When this came out, the much-missed (by me, anyway!) 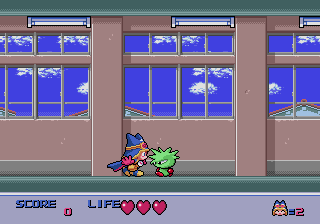 UK mag Sega Pro were unsure of the title, so they had three different names for it: Magical Guy, Magical Talurut (!) and Magical Tarot. I can't stop playing this one recently, its a real gem of a game. 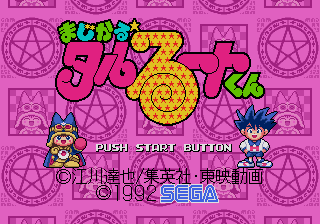 Battle through the varied levels of platform FUN, very Japanese style but that's my taste - its either this or Doraemon that stick out of the old Megadrive at the moment.